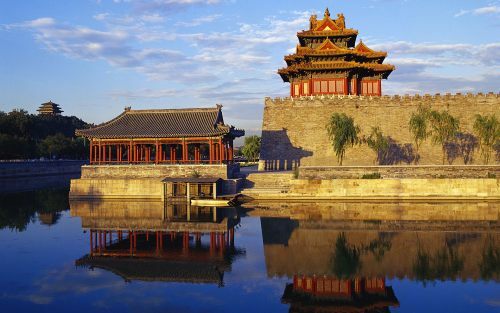 Hainan Airlines is offering flights from Toronto to Beijing, China for just $571 CAD roundtrip including taxes. Even more incredible is the fact that the flights are on one of the world's highest rated airlines, and they are non-stop flights. 1. Go to Momondo and search for a flight from Toronto (YYZ) to Beijing, China (BJS). Sep 7 to Sep 24 -- new! Sep 12 to Sep 25, 26, 27, 28, 29, or 30 -- new! Sep 14 to Sep 27, 28, or 29 -- new! Sep 15 to Sep 25, 26, 27, 29, or 30 -- new! Sep 19 to Oct 6, 7, or 8 -- new! Sep 21 to Oct 6, 7, or 8 -- new! Sep 27 to Oct 9, 11, 12, 13, 14, or 15 -- new! NOTE: You can actually choose any of the September departure dates above, and come back on virtually any date in October, November, or December 2016 (up to December 25th) - for the same price.